With water as an expensive Southern California resource in jeopardy, homeowners struggle with whether to keep a traditional lawn or replace it with low-water grass or ground-covers. 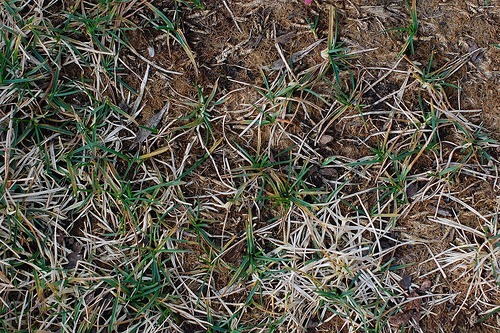 This decision can also come at a time when perhaps too much crabgrass or other weeds infiltrate the space, as it’s common to fully replace a lawn even as often as every 7 years. For people who outsource lawn maintenance, unless the lawn is massive, it’s possible the costs of full replacement will be offset within a year. The best thing to do is seek the advice of your landscape professional or local nursery but we’re providing a guideline regarding how handy homeowners are doing their own replacements, what kind of plants are commonly considered and why synthetic turf may be a good option for you. 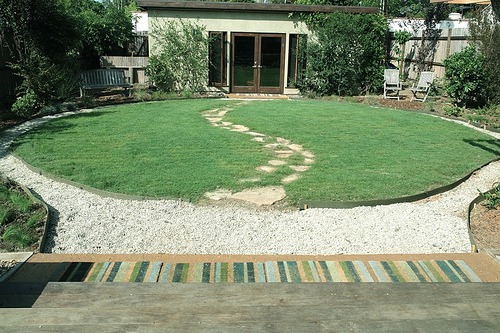 To replace a lawn, you’re going to have to remove existing turf. Experts suggest that lawn replacement is something the a homeowner can definitely do themselves, albeit a labor-intensive task that is definitely worth considering hiring out for large areas. But if you’re the handy type, here’s how experts recommend removing your existing lawn. If use of an herbicide doesn’t bother you then this is probably the easiest way to get rid of a lawn, however, do not use it if rain is in the forecast or in areas that receive irrigation overspray as run-off can be toxic to nearby plants, animals and waterways. Once the grass and weeds are dead (it make take multiple applications and a few weeks), the area can be re-planted without digging anything out. This requires the most labor but it may be the fastest way to replant and if the sod is in good condition, chances are you can replant it elsewhere. First, water the area a day or so in advance so that the soil is moist but not soggy as this will make it easier for the shovel to penetrate the soil. Cut strips into 1 foot sections with a spade and then pry the sections out with a spade or fork (while cutting through remaining roots) and roll up the strips to remove the lawn. Have a look at the remaining soil, as you’ll probably need to buy an amendment to fill in gaps left behind. If the sod is well-established, a tiller or sod cutter might be in order but ask the equipment rental place exactly what type is best for your particular job. Basically, a rototiller is a power rotary hoe that loosens up soil prior to planting while chewing up weeds and grass as you run it over the lawn. The benefit of using a rototiller is that the organic matter stays in place, therefore, eliminating the need for additional soil. A sod cutter will still require a decent amount of elbow grease, but it is meant to slice off the top layer of sod. You can plant it immediately though it is possible that the tilled soil could have brought weeds to the surface. By keeping the area bare and moist for a few weeks, you can identify and pull any weeds prior to planting. By using newspaper, plastic or cardboard you can prevent daylight from hitting the lawn and virtually smother it out of existence over time—which can take months. Plastic will trap heat and prevent light which will eventually suffocate the lawn. Cardboard and newspaper don’t trap heat as well, but when secured properly and covered with mulch, they can trap out light which kills the lawn over time by preventing photosynthesis. Experts suggest that the best way to plant in this circumstance is to punch holes in the cardboard, plastic or newspaper and plant in these holes rather than remove the barrier, however, add a layer of mulch on top. Odds are that the irrigation system that once watered your lawn is too aggressive for a lawn replacement plan. Consider low-water sprinkler heads or even a drip system, depending on what you’re planting in it’s place, but also know that it’s easy to cap a current irrigation system for use later on. UC Verde Buffalograss is not at all the same as regular buffalograss, but rather a special type that can be left to its own devices to grow as a meadow or mowed as a drought-tolerant lawn. For those who want to eliminate pruning, weeding any any other kind of gardening-related maintenance, synthetic turf is an ideal option. 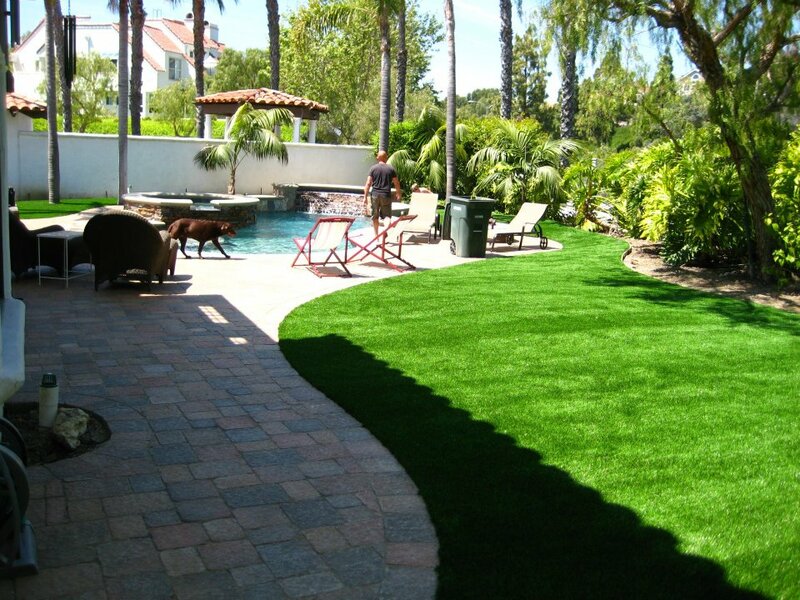 We happen to have an online guide that covers everything you need to know, but synthetic turf tops the list for convenience, can look a lot like a real lawn, is durable enough for kids and is incredibly pet-friendly. The other benefit is that when you hire a company to install synthetic turf, they’ll take care of lawn removal for you so you can ignore the back-breaking work previously discussed. It’s fragrant, especially when stepped on, and an easy to grow ground cover that many Southern California homeowners choose as a lawn replacement because of beauty and low-water needs. 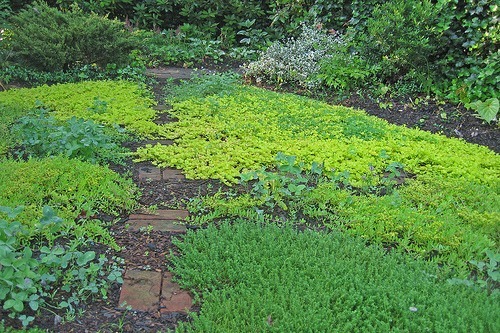 Creeping thyme comes in several varieties that all thrive in our climate, but they are slow-growing at up to about 6 inches per year which may make this an expensive option. However, many gardeners fill their once lawns with a variety of thymes that bloom in different colors that include white, pink and red. A member of the succulent family, low-growing sedums are architecturally interesting and a potentially colorful way to replace a lawn. Just like thymes, many Southern California homeowners mix and match the type sedums used. The easiest thing to do is order succulent mats that are almost as convenient as laying sod because each pre-vegetated mat has a variety of small sedums that have filled in space on the mat so no empty spaces are seen. These mats are extremely popular for eco-friendly roof gardens. 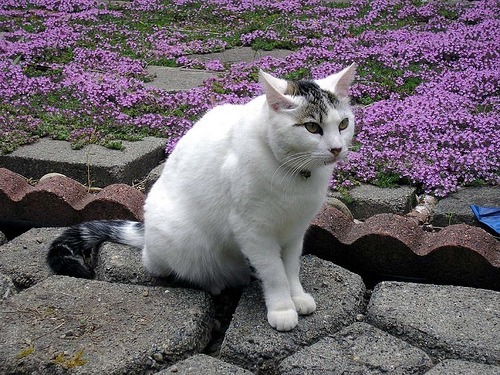 Mats are simply placed on bare ground and that’s it, however, keep in mind that sedum is a gorgeous ground cover that can’t be stepped on. There’s absolutely no rule that says a lawn must be replaced with something that looks like lawn or a low-growing ground cover. 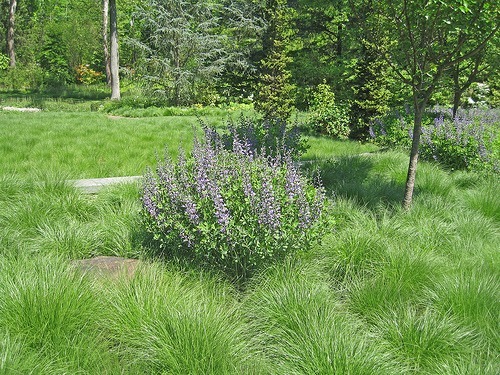 Homeowners can go for a lush look by using ornamental grasses that don’t require mowing or very much maintenance at all. Make sure the grass you choose is drought-tolerant and not invasive. Have you replaced your lawn?